A caring local business that will exceed your expectations. 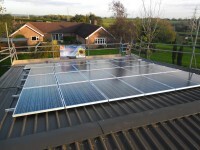 Mack Solar is a Sheffield based business that provides Solar PhotoVoltaic installations (electic producing solar panels), maintenance and repair for domestic households and businesses in South Yorkshire, North Derbyshire, Hope valley & North Nottinghamshire. Great company to deal with.Very helpful and made a huge effort to ensure that I was happy with the design and specification, and also that I fully understood the costs over the lifespan of the installation.When they came to do the work, they were well organized, clean and tidy.Our installation has since been inspected by an independent specialist and he commented that it is one of the most professional installations he has seen.I have recommended Mack Solar to my friends. 4kw bradway new installation to green belt property with hardrow concrete slates. 3.5kw totley rise, s17 14 black panels fitted in roof using renusol intersole mounting system. 3.0kw storrs, sheffield 6 12 ground mounted panels fitted on renusole console ballasted tubs. cables run in a trench back to the building. 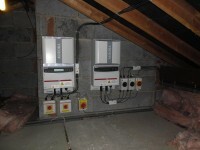 2.5kw worksop 10 canadian solar panels on domestic dwelling fitted using hilti mounting system. 5.5kw clowne, sheffield s43 22 ja solar panels fitted to a trapezoidal steel sheet barn roof. Powerone inverters 2 powerone pvi 3.0 outd inverters fitted to a 5.99kw system. 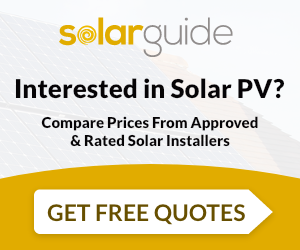 Solar Guide arranged for quotations from three companies. Two were similar in price and the third were much more expensive. MACK Solar were one of the cheaper quotations. They contacted us by telephone in less than 24 hours after the referral from Solar Guide to discuss our requirements. They had identified our home on Google Earth before making the call and had a good understanding of the location and potential installation arrangements. They prepared and sent by email a draft quotation the next day, subject to a visit in person. Following the email draft quotation we spoke by phone to arrange a visit from their designer, the inspection was agreed for a Saturday for convenience as daylight is short in mid-November. The designer brought samples of solar panels to show us during his visit and demonstrated a clear understanding of the technical issues of both the Solar Products and the installation requirements of the building. MACK Solar were able to give advice on “Immersun” and/or similar controllers used to divert unused power to heat domestic hot water as an alternative to export to the grid. They made clear recommendations but did not impose a design. They took their time to discuss options and explained the potential benefits that small upgrades might offer where a small price increase could more than pay for increased performance. Once appointed they agreed a programme, arranged for scaffold to be installed and completed the work in less than two days on site. Their communication in making arrangements for access where exemplary, with emails responded always by return. Their workmen were pleasant and efficient and they left the building tidy at the end of each day. The installation included arranging the necessary EPC certification, Building Regulations Part P compliance and paperwork required to register for FIT payments. The whole process from giving an initial draft quotation to completion took less than one calendar month. I have no hesitation in recommending the company to perspective customers. Mack Solar are MCS accredited engineers who supply and install Solar PV. 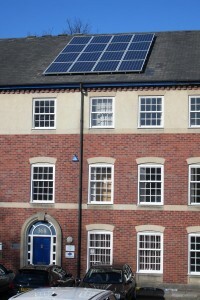 For similar installers in this area please visit the Sheffield solar page. "Solar Guide arranged for quotations from three companies. Two were similar in price and the third were much more expensive. MACK Solar were one of the cheaper quotations. They contacted us by telephone in less than 24 hours after the referral from Solar Guide to discuss our requirements. They had identified our home on Google Earth before making the call and had a good understanding of the location and potential installation arrangements. They prepared and sent by email a draft quotation the next day, subject to a visit in person. Following the email draft quotation we spoke by phone to arrange a visit from their designer, the inspection was agreed for a Saturday for convenience as daylight is short in mid-November. The designer brought samples of solar panels to show us during his visit and demonstrated a clear understanding of the technical issues of both the Solar Products and the installation requirements of the building. MACK Solar were able to give advice on “Immersun” and/or similar controllers used to divert unused power to heat domestic hot water as an alternative to export to the grid. They made clear recommendations but did not impose a design. They took their time to discuss options and explained the potential benefits that small upgrades might offer where a small price increase could more than pay for increased performance. Once appointed they agreed a programme, arranged for scaffold to be installed and completed the work in less than two days on site. Their communication in making arrangements for access where exemplary, with emails responded always by return. Their workmen were pleasant and efficient and they left the building tidy at the end of each day. The installation included arranging the necessary EPC certification, Building Regulations Part P compliance and paperwork required to register for FIT payments. The whole process from giving an initial draft quotation to completion took less than one calendar month. I have no hesitation in recommending the company to perspective customers."